Ganzevoort, Herman. "Dutch Canadians". The Canadian Encyclopedia, 23 January 2018, Historica Canada. 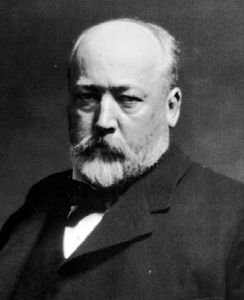 https://www.thecanadianencyclopedia.ca/en/article/dutch. Accessed 18 April 2019. 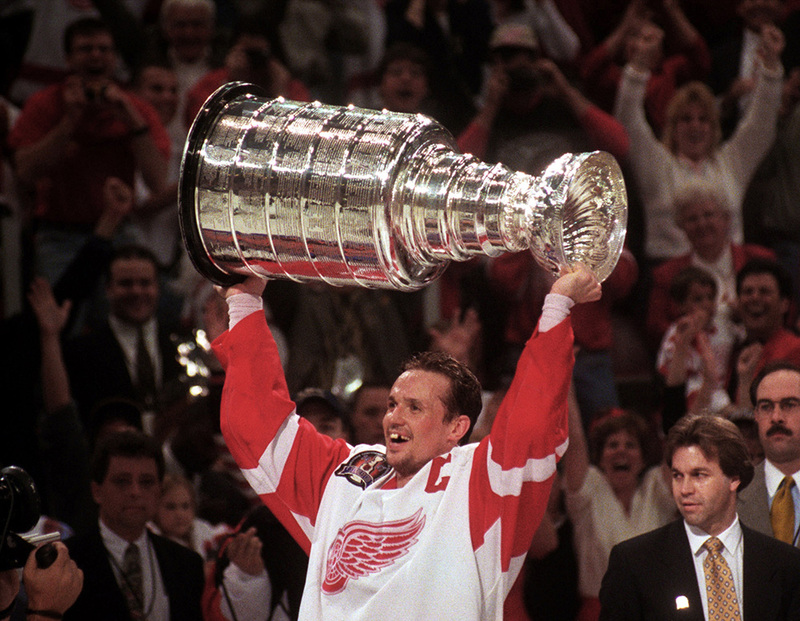 Detroit Red Wing captain Steve Yzerman holds the Stanley Cup after sweeping the Philadelphia Flyers in the 1997 Stanley Cup finals. 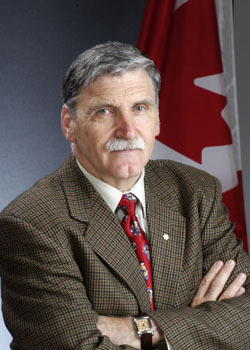 Senator Roméo Dallaire. Following his experiences as a UN peacekeeper in Rwanda, Dallaire became an advocate for the world's victims of genocide. Cornelius Krieghoff, 1856, oil on canvas. 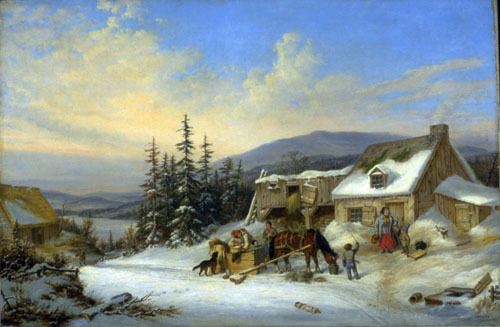 This type of winter picturesque scene made him the most popular painter in Canada in his day (courtesy NGC). 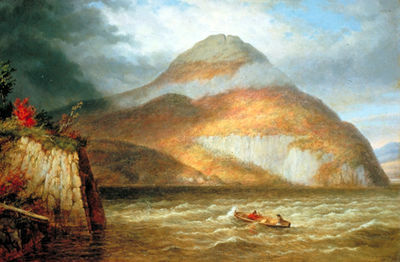 Lake Memphremagog, 1859, oil on canvas by Cornelius Krieghoff (courtesy National Gallery of Canada/Musée des Beaux-Arts du Canada, Ottawa). 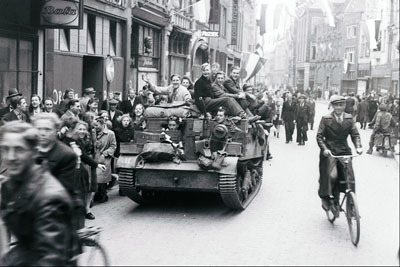 During the Second World War, the Canadian army liberated a number of Dutch cities, while Canada provided refuge to the Dutch royal family. As a result, Canada and the Netherlands have enjoyed a close bilateral relationship ever since. The 2016 Canadian Census reported 1,111,655 persons of Dutch origin living in Canada (including both single and multiple ethnic-origin responses). 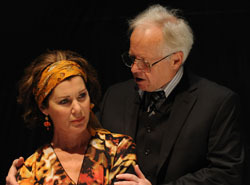 Many Canadians of Dutch origin have distinguished themselves in the arts, including painter Cornelius Krieghoff, composer and conductor Allard De Ridder, photographers John Vanderpant and Kryn Taconis, film director Patricia Rozema, actress Sonja Smits and author Aritha Van Herk. 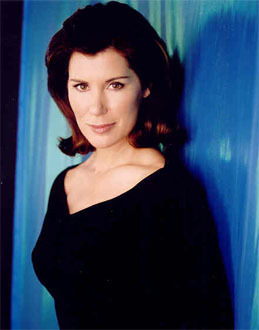 Many other Dutch Canadians have played important roles in education (Egerton Ryerson, descendant of a family of Dutch-American Loyalists), government (Samuel Holland), business (Sir William Cornelius Van Horne), politics (Bill Vander Zalm, Simon de Jong, Rick Dykstra, John Van Dongen and Elizabeth Witmer), human-rights advocacy (Roméo Dallaire) and sports (Joe Nieuwendyk, Trevor Linden, Greg de Vries, Jeff Beukeboom and Steve Yzerman). Although the Dutch arrived in North America in the 17th century to establish the New Netherlands colony, it was not until the American Revolution that an indeterminate number of Dutch American Loyalists entered the British North American colonies. Already considerably anglicized, this group was quickly assimilated into the existing society and masses of immigrants who flooded into the colonies after 1815. Because of economic and social pressures, emigration from the Netherlands grew rapidly at mid-century and in the following decades, but it was directed to the rapidly developing American frontier. When cheap arable land became scarce in the United States by the 1880s, the Dutch and Dutch Americans turned to the Canadian "Last Best West." The Dutch have settled in Canada in three main periods. 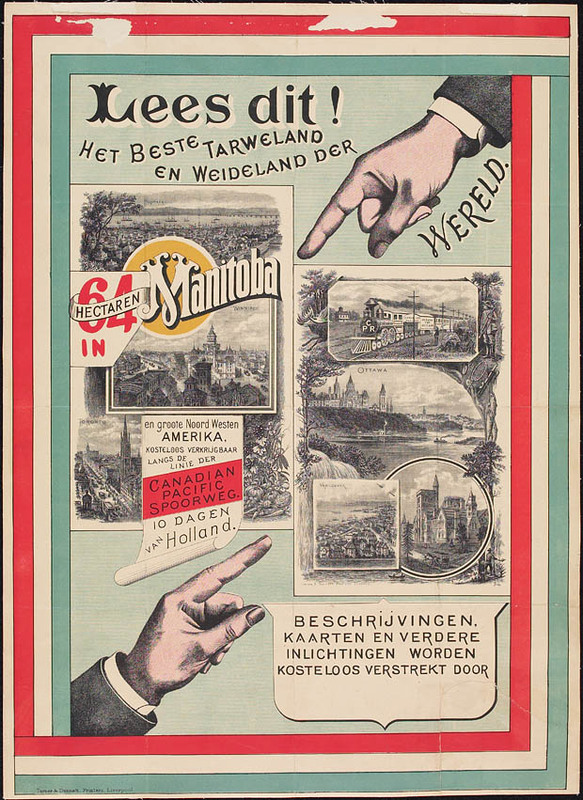 During the first, from 1890 to 1914, Dutch immigrants joined the migration to the Canadian West to take up homestead and railway lands, helping to open the Prairies and establishing ethnic settlements such as New Nijverdal (now Monarch, Alberta), Neerlandia (Alberta) and Edam (Saskatchewan). 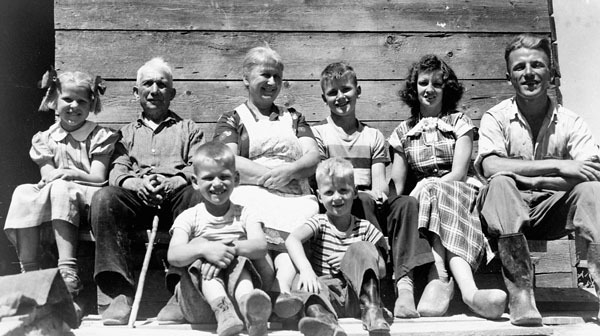 The majority of the immigrants were scattered across the West either as farmhands or farm or ranch owners. Some settlement concentrations did occur, however, particularly in and around Calgary, Edmonton and Winnipeg. Indeed, Winnipeg probably had the largest Dutch community in Canada prior to the First World War. 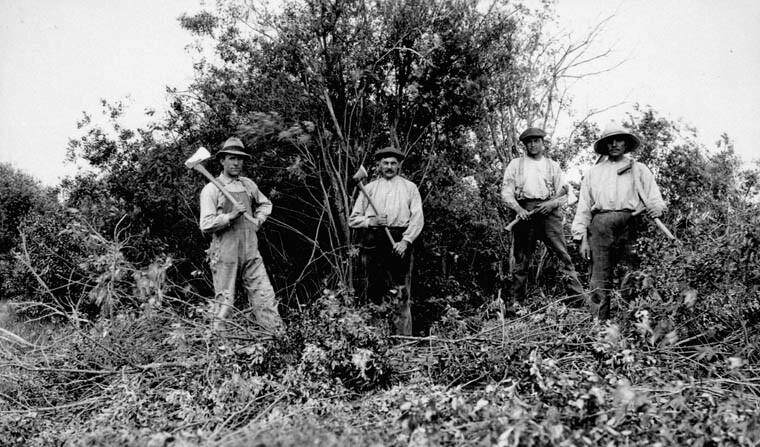 The second period of immigration, from 1920 to 1929, ended with the coming of the Great Depression. Cheap, accessible arable land was in shorter supply, but the demand for farm, construction and industrial labour and domestic service was high, particularly as the postwar recession came to an end. Dutch immigrants moved quickly to take up these opportunities across Canada, particularly in Ontario and the western provinces. During this period significant concentrations of Dutch immigrants settled in southern and southwestern Ontario, especially in Toronto. 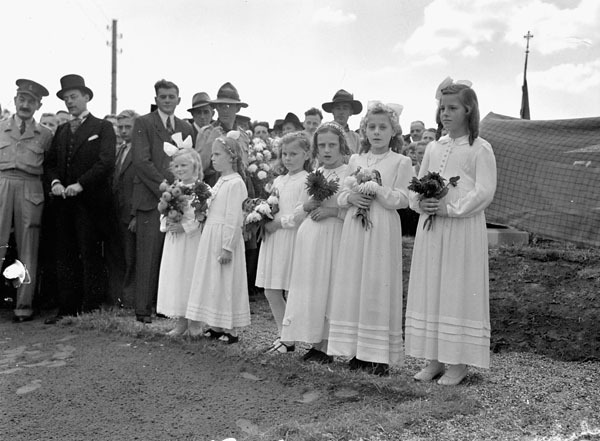 It is estimated that between 1890 and 1930 approximately 25,000 Dutch or Dutch American immigrants entered Canada. 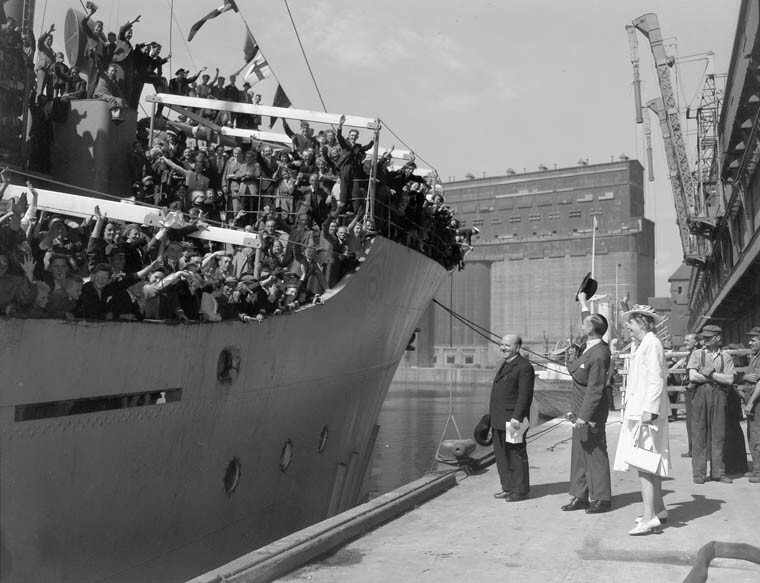 The Great Depression and the Second World War curtailed Dutch immigration until 1947, when tens of thousands began to flee from a war-devastated and economically ruined homeland. 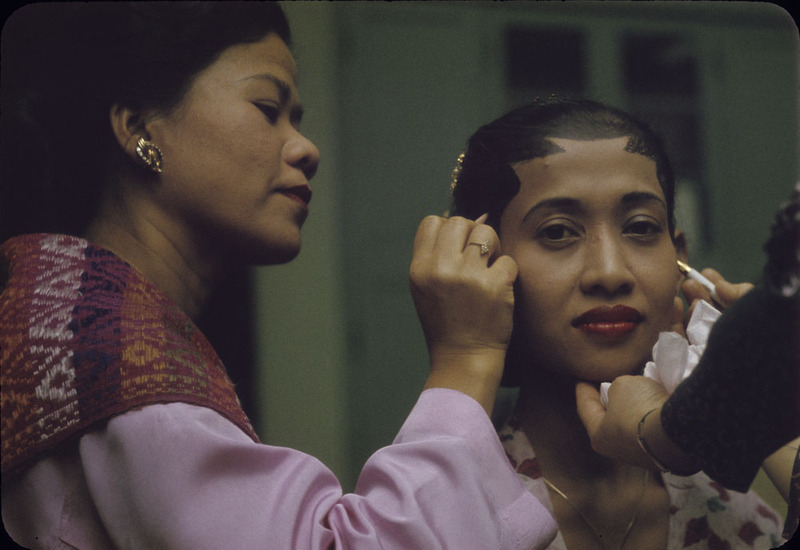 Initially the immigrants, as in the past, came from the agricultural sectors, but by the mid-1950s they included many skilled and professional workers. 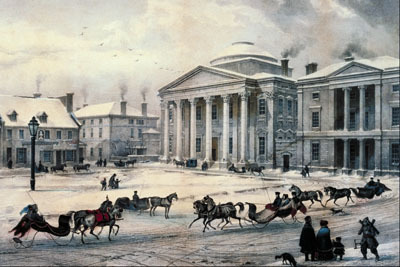 Ontario became a particularly important destination, followed by Alberta, British Columbia and the Maritimes. 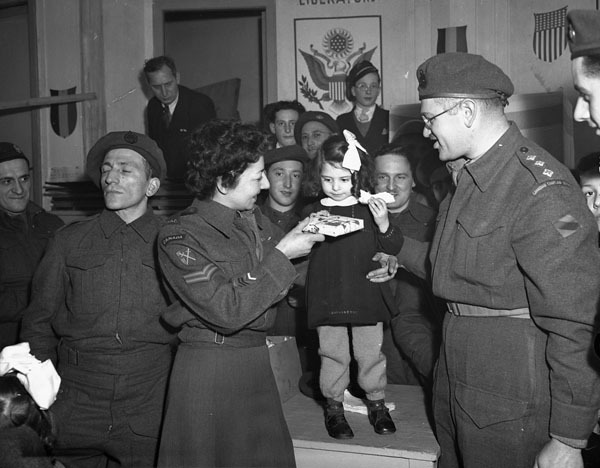 After the Second World War, Canada paid for the passage of nearly 2,000 Dutch war brides and their children. By the late 1960s some 150,000 Dutch immigrants were well established in all provinces (with the exception of Newfoundland), but particularly in Ontario and the urban areas of the western provinces. 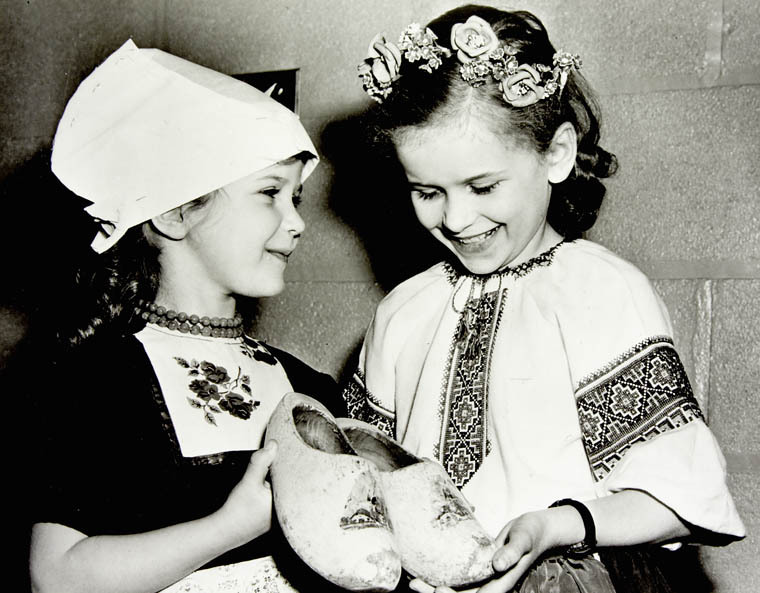 These communities served as beacons of welcome and attraction for later Dutch immigrants. 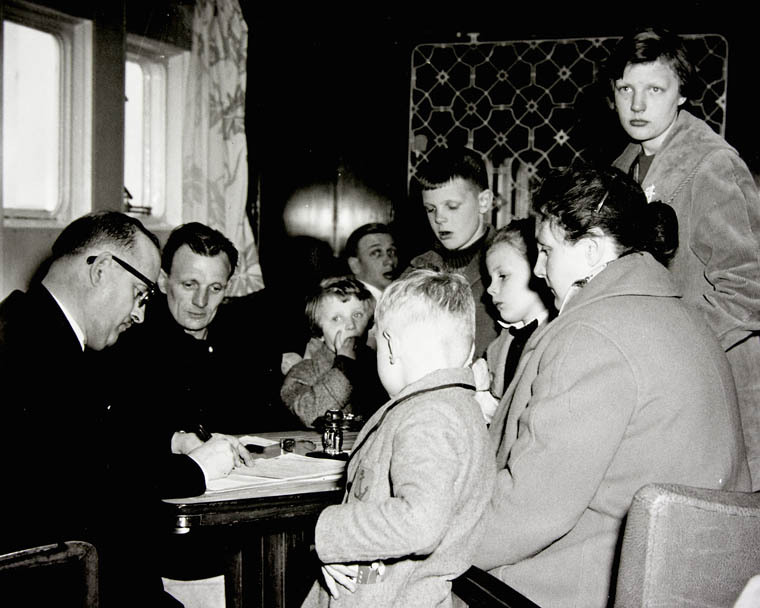 While Dutch Roman Catholics formed the largest single religious entity, they have been outnumbered by the combined population of Dutch Protestant groups, many of whom have continued their religious traditions in Canada. Among these, the Christian Reformed Church (also known as the Dutch Calvinist Church) is the most prominent on the Canadian religious scene, especially in Alberta, British Columbia and Ontario, where it has many communities. These various faith communities encouraged integration and the adoption of those things Canadian that were not antithetical to social or religious practices. As a result, the Dutch language has largely been discarded, as have "old country" practices that could have blocked the attainment of economic security. This fact, combined with a strong work ethic and minimal past involvement in the cultural life of the native land, has meant that "ethnicity" has only a very personal, familiar or religious connotation. This, no doubt, helps to explain why Dutch-Canadian clubs represent no more than a minority of the Dutch community. 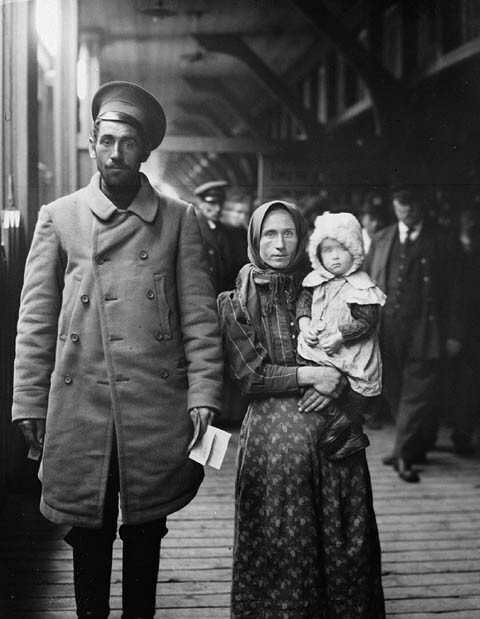 Only recently have the children and grandchildren of immigrants begun to examine the history of their parents' or grandparents' migration and struggle, and to give their discoveries academic or literary form. 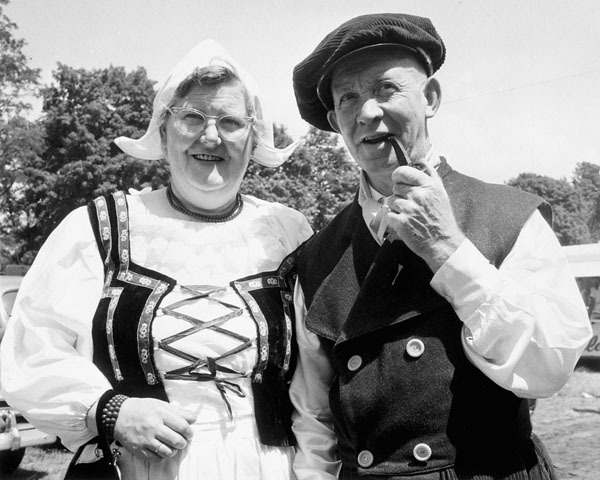 Mr. & Mrs. John Tamming dressed in costumes of their homeland, representing the many Dutch-Canadian residents in the Strathroy area of Ontario who enjoyed centennial celebrations, 1967. While family ties remain strong, intermarriage with other Canadians is not regarded as a problem by the majority. 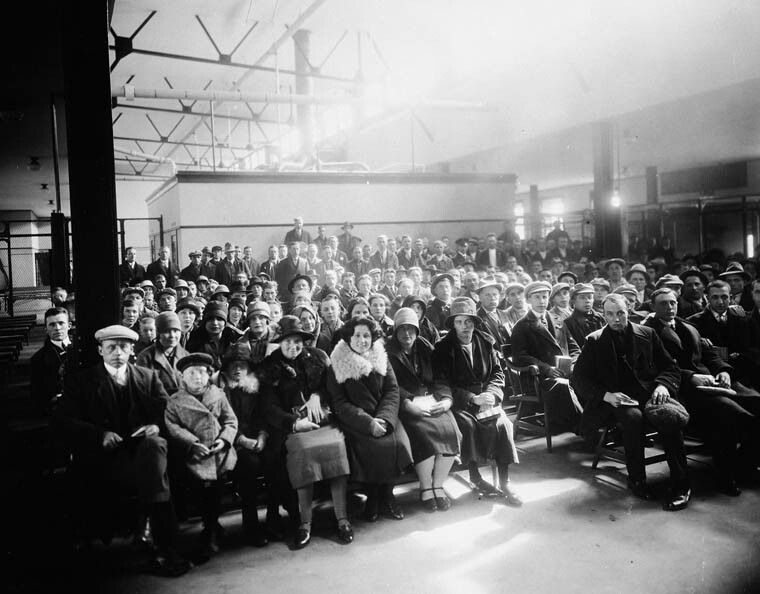 The Calvinist Church, the Dutch Credit Union and the Dutch-Canadian clubs, which represent only a minority of Dutch Canadians, are the only remaining visible landmarks of an ethnic culture that is rapidly and willingly disappearing into the Canadian multicultural state. 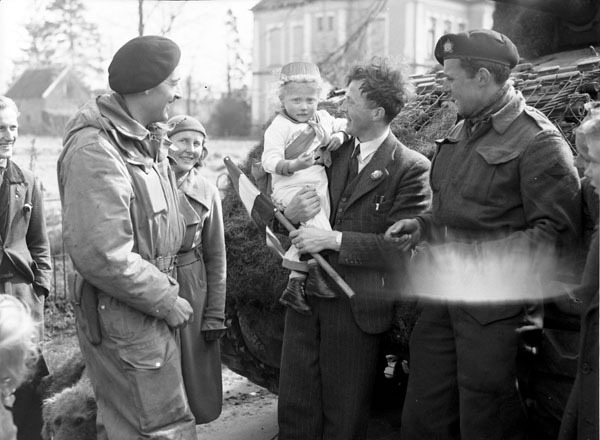 Canada and the Netherlands maintain a dynamic bilateral relationship that has drawn strength from Canada’s having provided refuge to the Dutch royal family during the Second World War and from the decisive role that the Canadian forces played in liberating the Netherlands during that conflict. 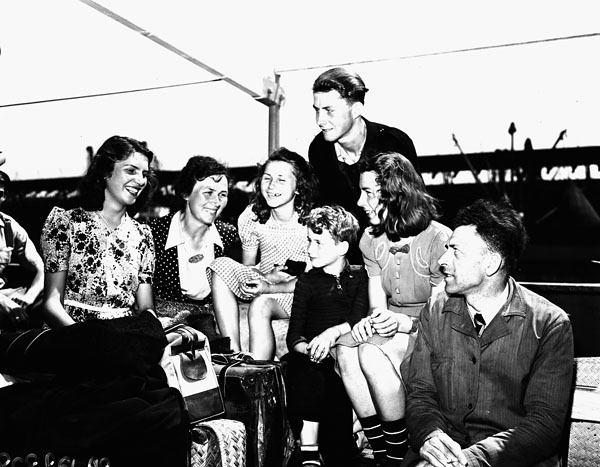 In June 1940, after the Germans had conquered the Netherlands, the Dutch royal family fled to Canada, and they remained there until the end of the war. During her stay in Ottawa, Princess Juliana gave birth to a third daughter, Princess Margriet Franscisca, at the Ottawa Civic Hospital, where the Canadian government temporarily declared the maternity ward extraterritorial land so that the new princess would hold only Dutch (and not Canadian) citizenship and hence be able to ascend to the Dutch throne when she grew up. 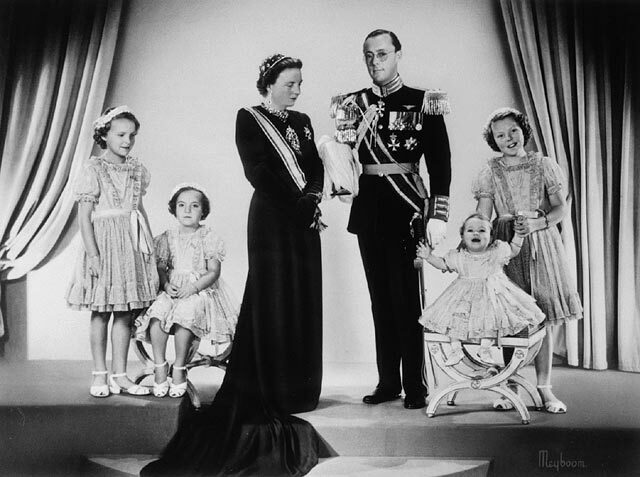 Princess Juliana, Prince Bernhard and family, 1948. 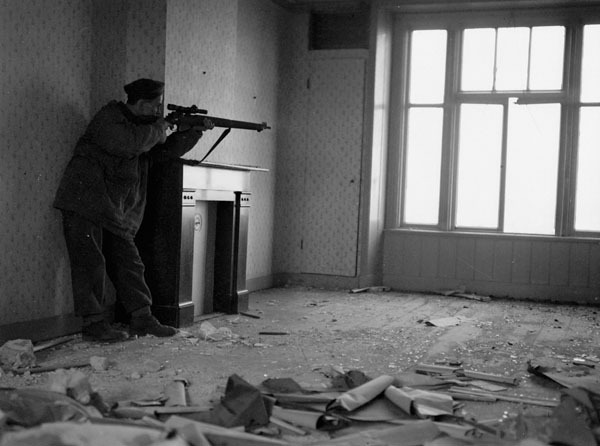 In the fall of 1944, a few months after the Allied landings in Normandy on D-Day, the First Canadian Army battled the German forces along the Scheldt Estuary in northern Belgium and the southwestern part of the Netherlands to open the Belgian port of Antwerp to Allied shipping. 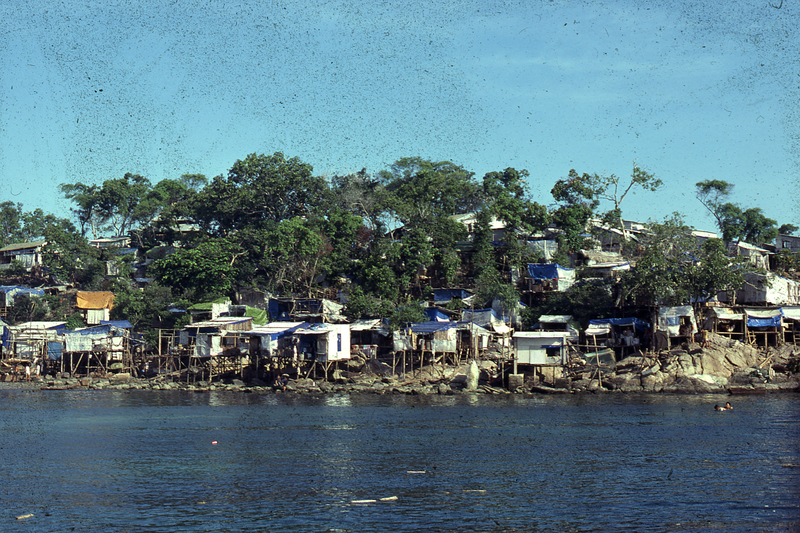 The first Allied convoy reached this port in late November. 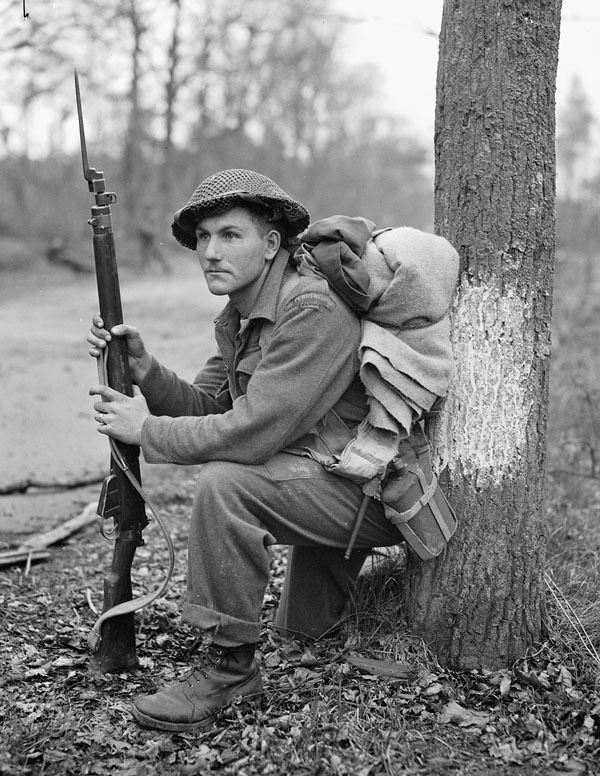 But the Battle of the Scheldt entailed heavy losses: more than 6,300 Canadian soldiers killed, wounded or captured. 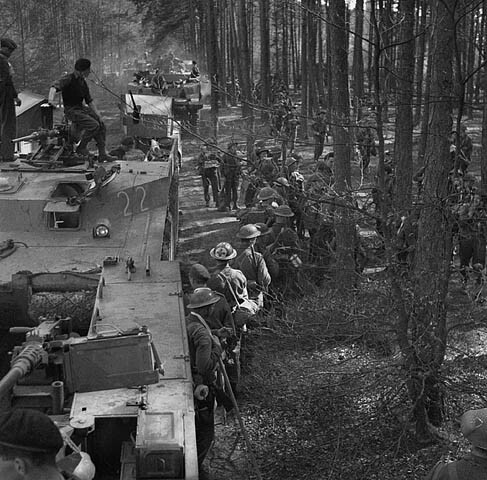 In March 1945, as the Allied forces began pushing the Germans back across the Rhine into Germany, the Canadian First Army undertook the liberation of the Netherlands. 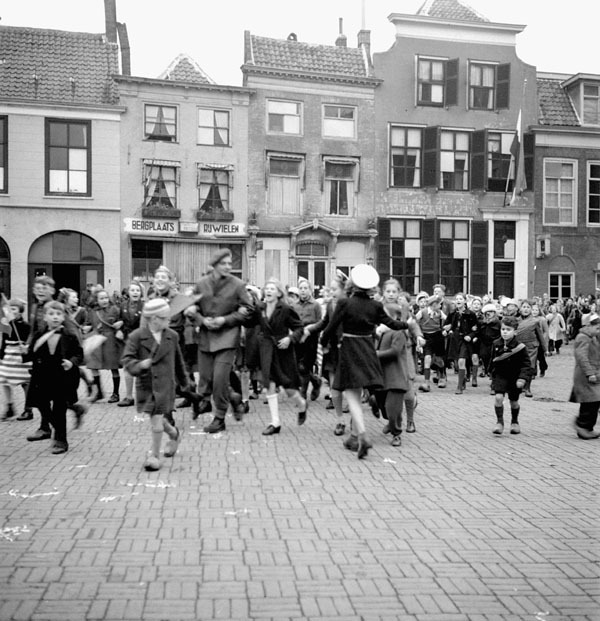 In the cities of The Hague, Rotterdam and Amsterdam, the Dutch people gave the Canadians a joyous welcome. 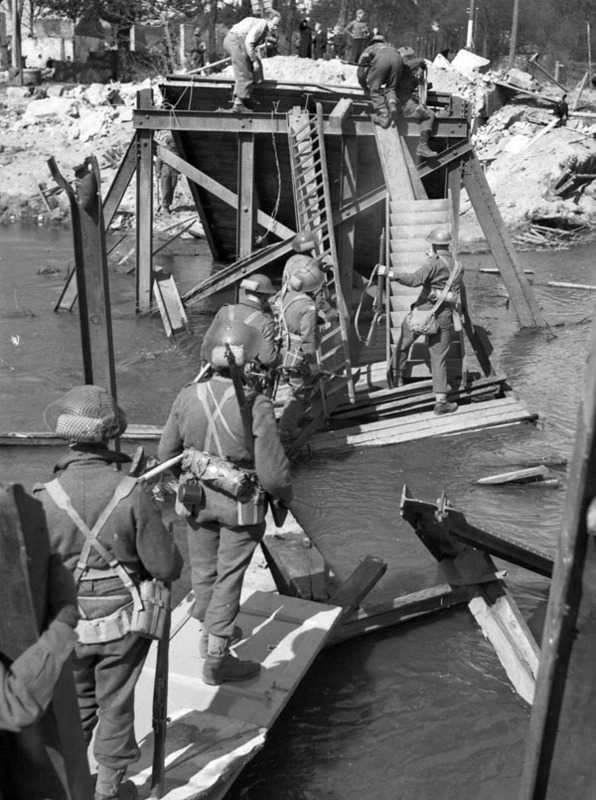 The German forces in the Netherlands surrendered on 5 May 1945 (see also One More River to Cross: The Canadians in Holland). 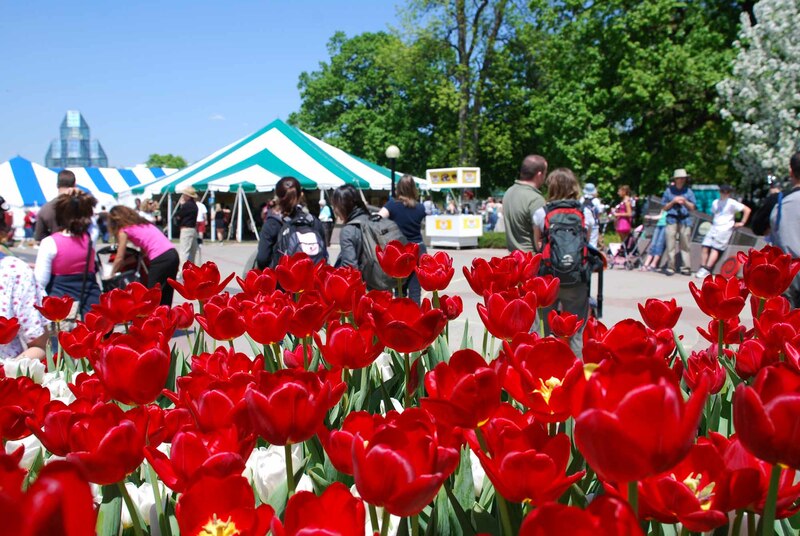 Thousands of tourist gather at the annual Tulip Festival May 19, 2007 in Ottawa, Ontario. 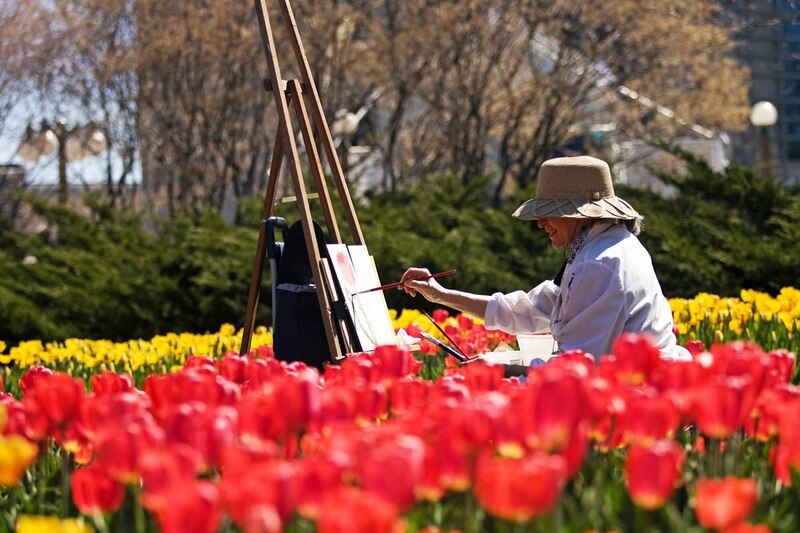 The Canadian Tulip Festival is the world's largest tulip festival and originated in 1953. 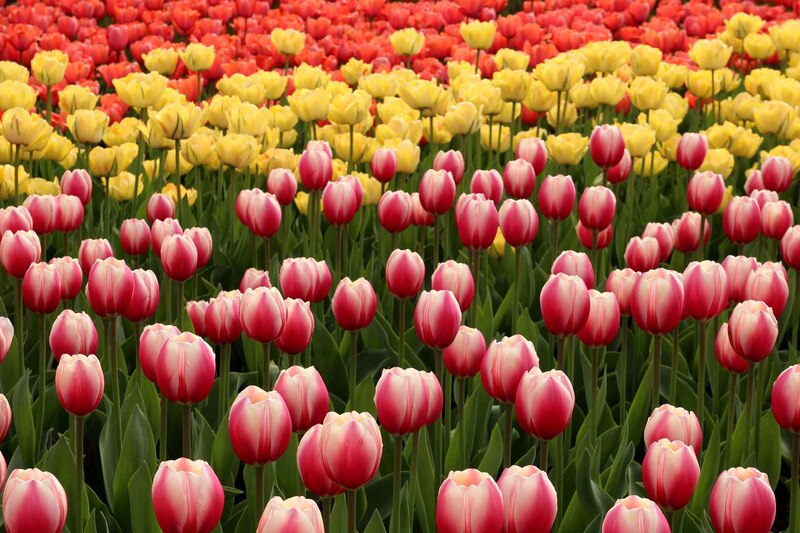 Every year since the war, the Dutch have sent Canada 20,000 tulip bulbs as a gesture of thanks for having liberated their country and provided refuge to their royal family. 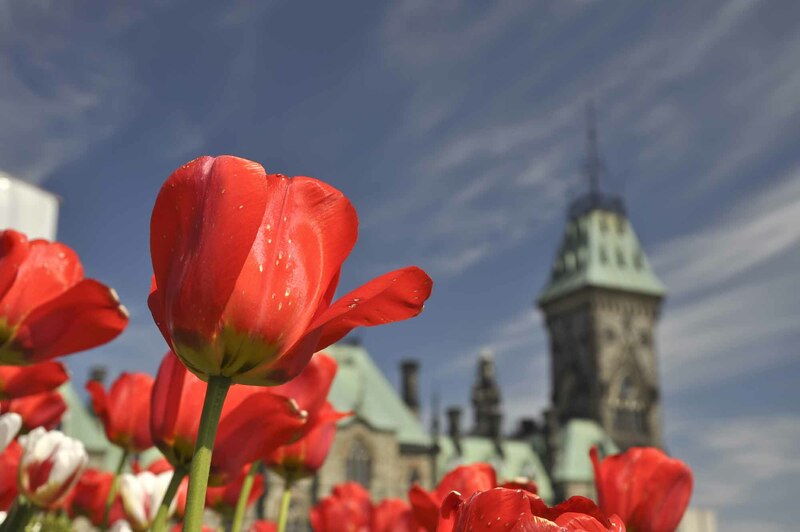 This tradition is the source of the Canadian Tulip Festival that has been held annually in Canada’s National Capital Region since 1953 (see National Capital Commission). The memory of the Canadian soldiers who fell in combat is honoured at a number of military cemeteries in the Netherlands, in particular the Holten and Groesbeek Canadian War Cemeteries. The ties between the two countries are also expressed by the participation of several teams from the Canadian Armed Forces in the International Four Days Marches in Nijmegen every year. The Netherlands also represents the second largest source of foreign direct investment in Canada and is one of Canada’s main partners in trade and innovation. In 2016, trade in goods between the two countries was estimated at $6.5 billion. Many Canadian and Dutch companies and institutions collaborate on innovative projects in areas such as urban planning, universal health services, agriculture and green energy. Matthew Gaasenbeek, An Immigrant’s Story: Memoirs of a Dutch Canadian (2011). 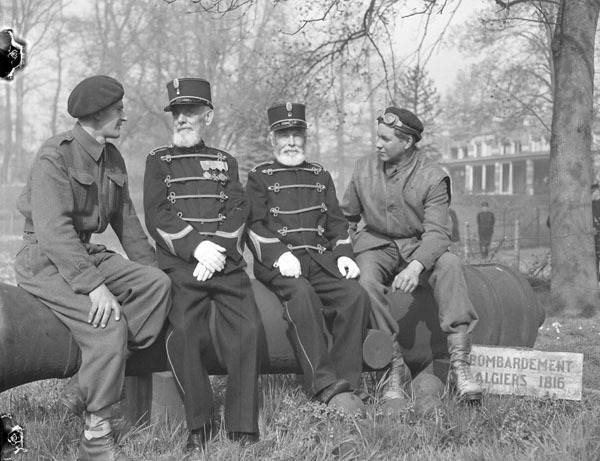 Lance Goddard, Canada and the Liberation of the Netherlands, May 1945 (2005). J.Th J. Krijff, 100 Years Ago: Dutch Immigration to Manitoba in 1893 (1993). Herman Ganzevoort, A Bittersweet Land: The Dutch Experience in Canada, 1890-1980 (1988). Hugh Cook, Cracked Wheat and Other Stories (1985). 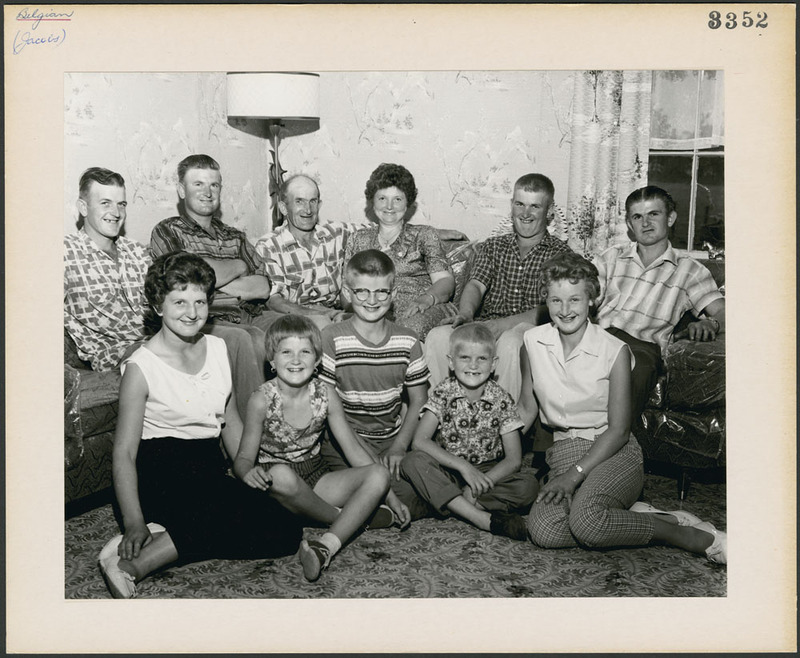 DutchInformation on the genealogy and family history of the Dutch community in Canada, on the Library and Archives Canada website.